Your favorite handful of sweet and salty trail mix combined into one amazing Paleo Trail Mix Breakfast Cookie! You say you’ve never heard of Breakfast Cookie Friday before?! Well let me tell you, dear momma, it is totally a thing. (Check out my hashtag #BreakfastCookieFriday on Instagram!). 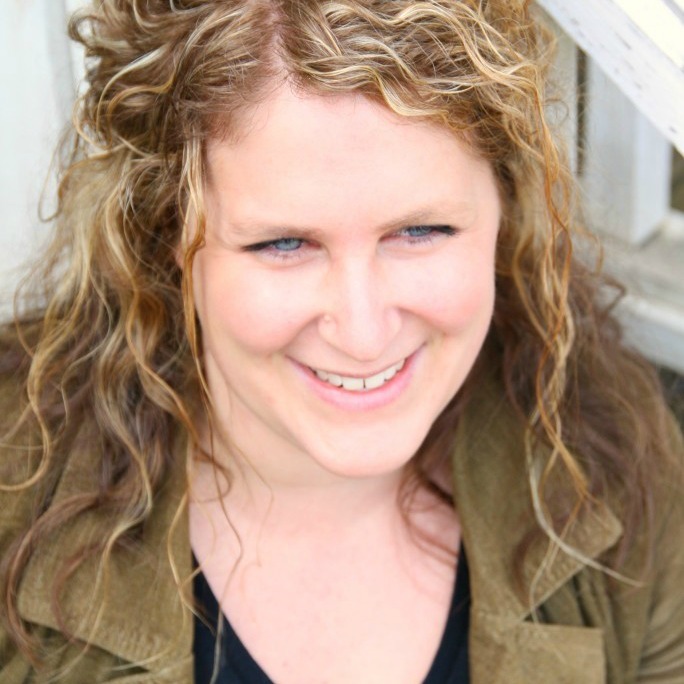 It all began with that sweet and spunky second born that so many of us end up scrambling after! My second threw me for a complete loop as a baby and toddler, tossing me every single opposite behavior as my mild natured first born. If you looked up “infinite energy” in the dictionary, her name and picture would be right next to it, along with the definition of “sleepless.” Breakfast cookie Friday started as a way for me to feed my non-stop, busy toddler at the end of the week when I was completely spent and awaiting the weekend reinforcements to arrive (otherwise know as…Daddy!). I know it. 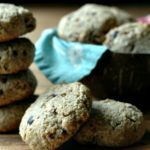 There are so many on the blog – you can use the search bar for “breakfast cookies” and find all of them. (I will also link some of them up later in this post). But yes. I did create another recipe. I was inspired by some trailmix that I started making over the summer as an on-the-go snack for the girls. They were obsessed with all the flavors, and I ended up playing around with making it in cookie form. 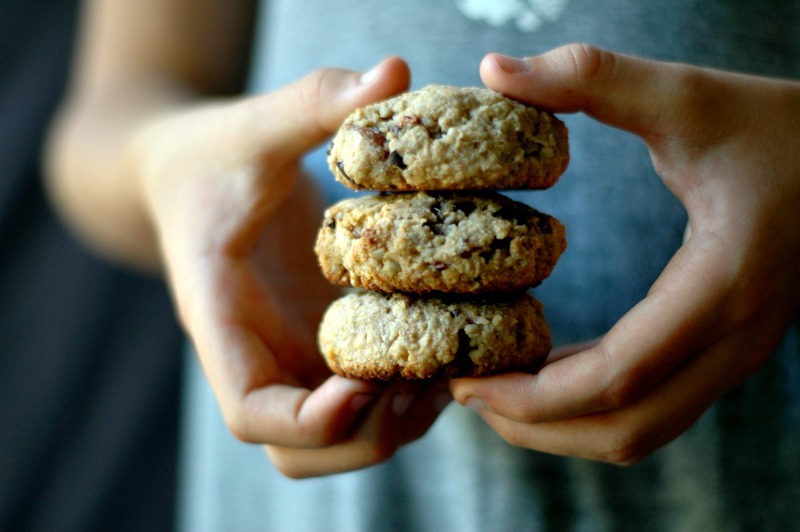 Having a variety of different breakfast cookie options not only gives our family a change up every Friday so we don’t get bored with the same flavors, it also allows me to play around with different combos of ingredients so that my readers are able to find something that fits their unique dietary goals. All the trailmix fun in a portable, handheld breakfast on the go! Just think of your favorite trail mix! Think of all the fun components and flavors. Salty, sweet, crunchy, and just fun to eat! Everything from nuts and seeds, to dried fruit and crispy dried coconut, it’s really all in here! This is the super fun part to change up. 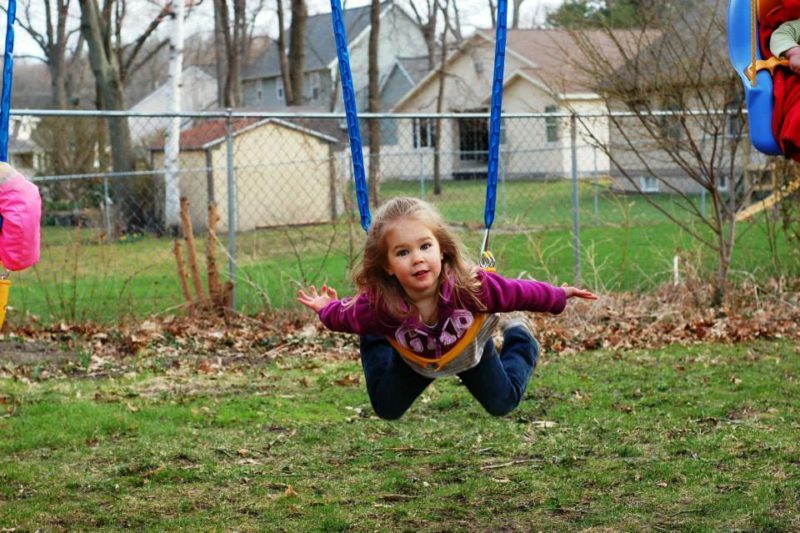 Depending what you have available where you live, go for it and have some fun! I will say that in the 6 or 7 batches of these cookies that I trialed making (including lots of different dried fruit trials), chopped figs were my kids’ favorite flavor. My favorite was a toss-up between the chopped figs and dried cherries. I’m able to get dried figs at a very good price at Costco or on Amazon, so it is cost effective for me. If it is pricier where you live, then simply use some raisins – they are tasty too! Essentially, raw cacao nibs are little bits and pieces from a real cacao, which are the little seeds from a cacao tree. What we know of as “chocolate” only contains a little bit of cacao plus a load of sugar. They taste “bitter” on their own, but sprinkled into a honey sweetened breakfast cookie with swirls of fig or other dried fruit, and they really taste like little chocolate bits! 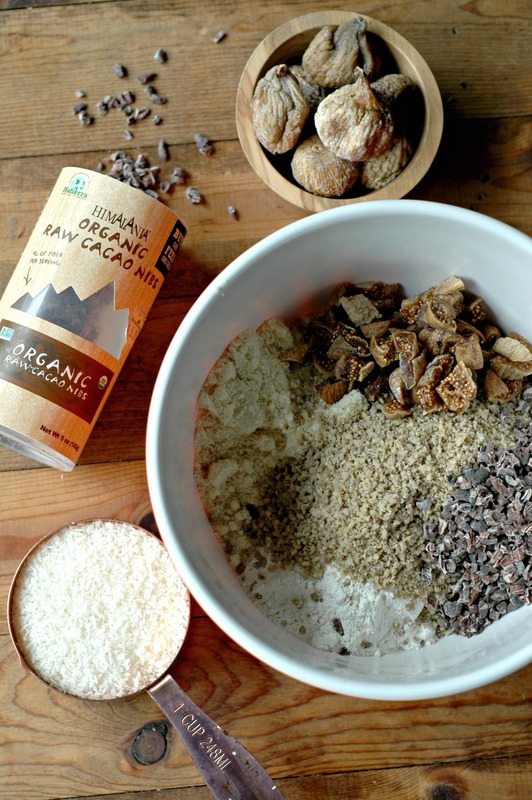 These little cacao nibs are packed with phyto-nutrients, and you can read more about them and their benefits here. *Please note it is impossible for me to trial every single ingredient possibility. I did up to 6-ish batches of these cookies with various combos and I have a few swaps to suggest. If you have dietary restrictions that are not mentioned here, feel free to ask and I can try to help. You can swap sprouted oats for the coconut if you can tolerate grains. If you are nut free, you can swap “seed meal” for the almond flour. Just blend up sunflower seeds super fine, but don’t take it all the way to “sunbutter.” Also, if you are nut free, you can swap pumpkin seeds for the walnuts. There are notes right in the recipe for my egg free friends. This is one swap I am sure of because there was one day that I ran out of eggs and didn’t have a choice! I thought the fruit puree worked fantastic. If the “heaping 1/3 cup” of raw honey scares you, remember this is divided among about 16-18 cookies depending on how big you make them. It is pretty minimal. If you prefer, you could swap the honey for coconut sugar with lower glycemic index. Keep in mind that will change the color a bit darker because of the color of the coconut sugar. 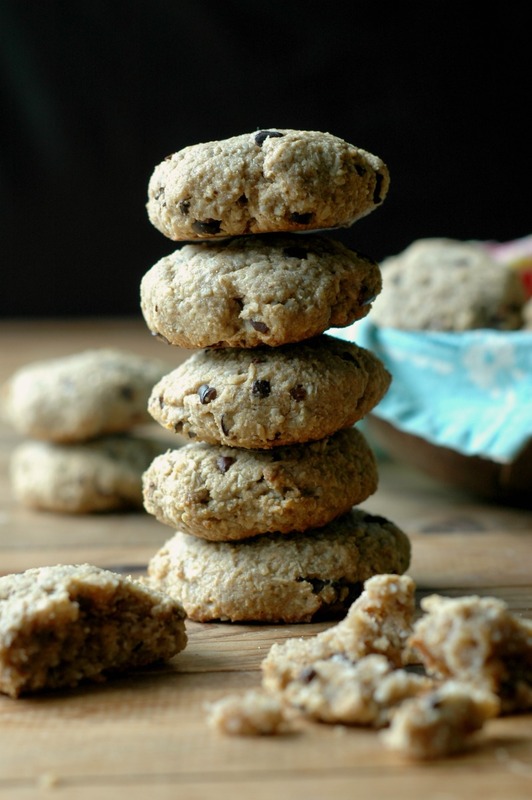 One of the coolest things about Breakfast Cookie Friday, is that if you plan a little ahead, you can just pull your cookies out of the freezer for breakfast – it doesn’t get any more convenient for real food than that! Cool the cookies to room temperature before putting them into freezer bags and into the freezer. I pull them out frozen the morning of and just warm them up in the oven a little. You can leave them on the counter overnight and just eat them at room temperature too. 2 eggs OR if you are egg free, you can use 2 chia “eggs,” OR 2 “fruit puree eggs” (1/2 cup mashed banana, applesauce, or pumpkin puree). 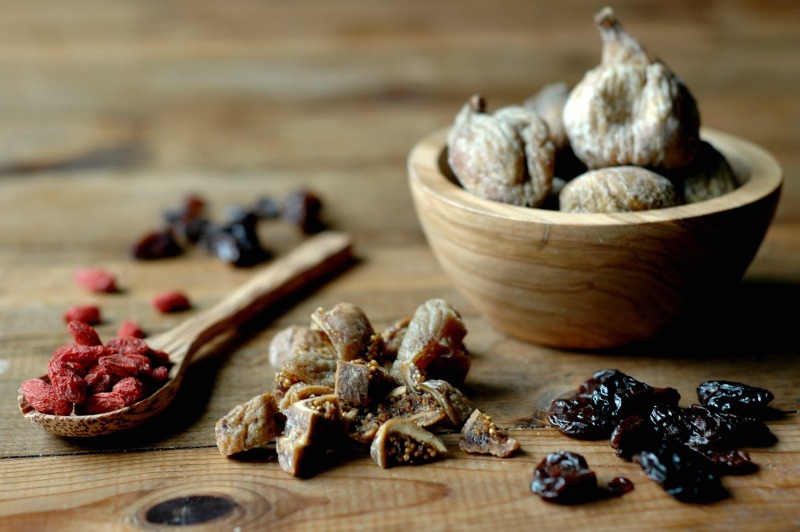 ½ cup dried fruit such as dried cherries chopped figs or dates , raisins , goji berries , etc. Everything into a medium mixing bowl, and stir to combine. Form the cookie dough into the size cookies you want. These will not spread out, so just roll, and flatten into a disk, and set them on a Silpat or parchment paper lined baking sheet. Bake at 350 degrees for 18-19 minutes. Check the cookies around the 15 minute mark in case our ovens run differently. Cool on the pan for a few minutes, and then transfer to a cooling rack. 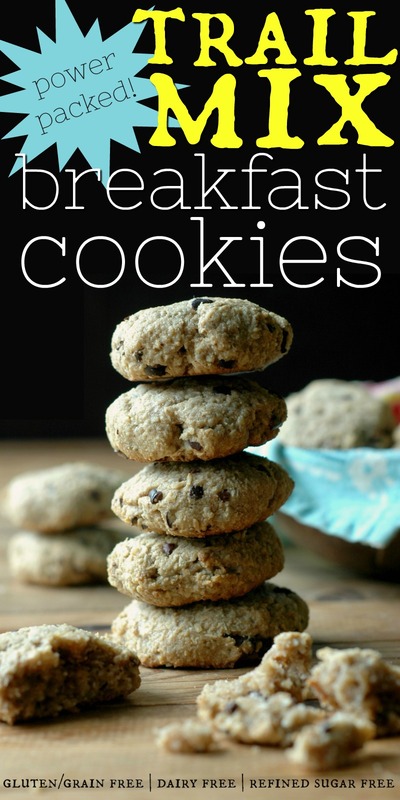 More real food BREAKFAST COOKIE RECIPES you might like! 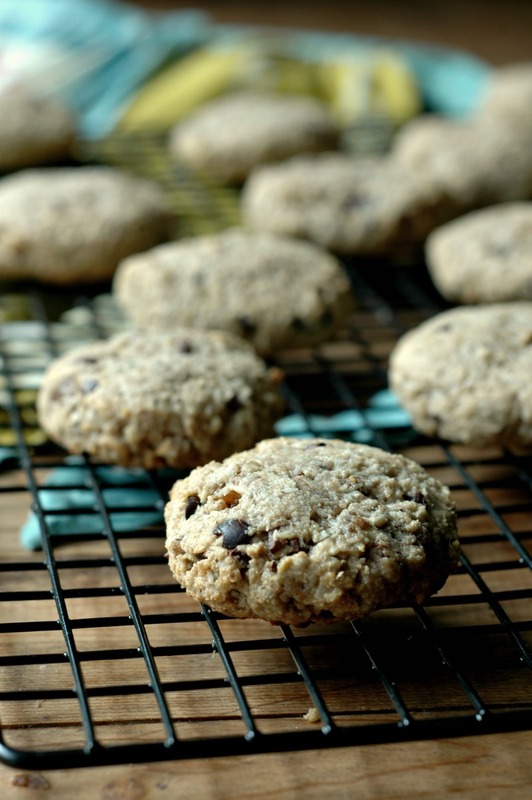 I’m always up for another breakfast cookie recipe! My kids love them. I haven’t used cassava flour yet but I am interested in trying it out. If I was really organized I would make a big batch of these on Sunday and have healthy breakfasts for the whole week! I think I might have to adopt this idea of breakfast cookie Fridays! Look at all those healthy goodies!! I have kids who won;t touch coconut….I am sure I could figure it out, but what would you suggest? Wow these cookies are amazing! 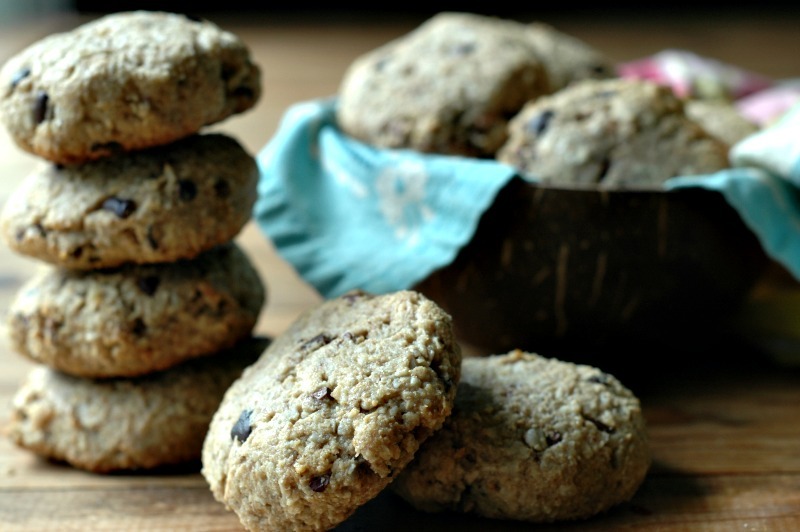 I’m always looking for healthy but yummy treats to take to work! Grab and go breakfasts are the best! Especially when they are this healthy! This is my favorite type of recipe. 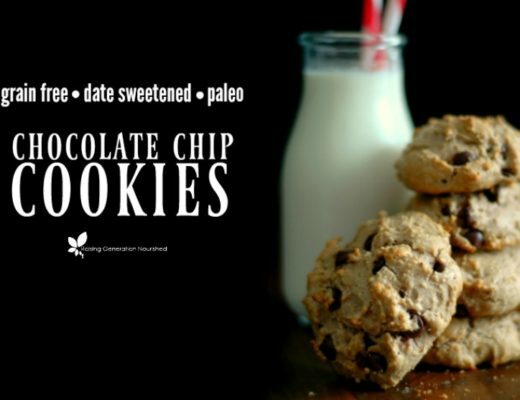 So much yumminess in one healthy cookie. I’m totally making these this week. My little one will love them. Cookies for breakfast? You know I can’t say no to that! I love that these are packed with all the things I love. I’m all about cookies for breakfast! Sometimes I even share them with my kids… haha. Love trail mix and now I have a recipe for breakfast. How awesome ! Cookies for breakfast! What a great idea – looks amazing too! Cookies for breakfast will make my kids so happy! 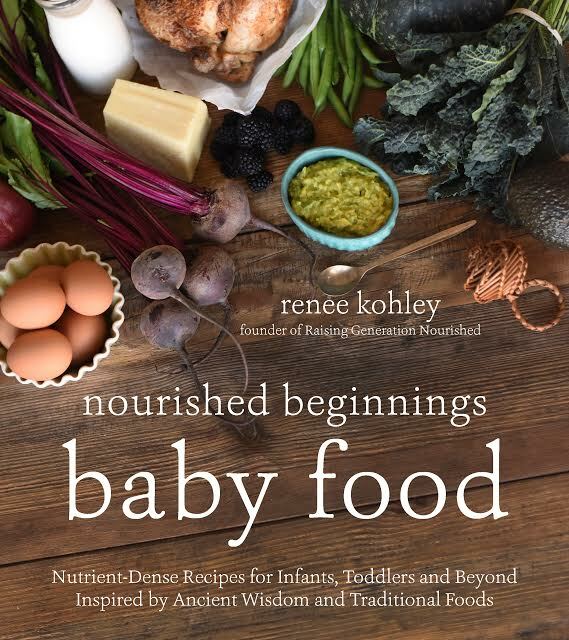 I love all the nourishing ingredients in these. I love the concept of these, so brilliant and fun! And cookies for breakfast?? BIG win! 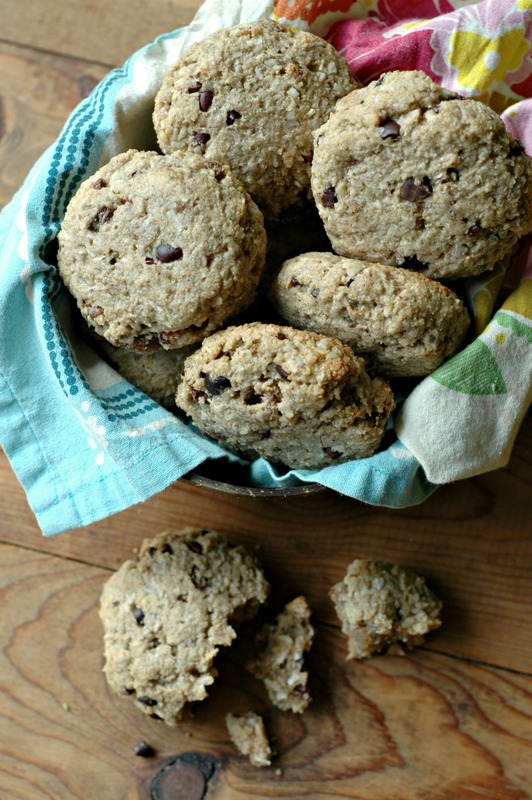 These breakfast cookies are perfect Renee! Love all of the goodies you packed into them. That sweet older photo made me teary too, probably my pregnant hormones, but my goodness our kiddos are growing up so fast. Such a sweet memory in that photo, love it! what a great idea for a quick breakfast and so healthy too! 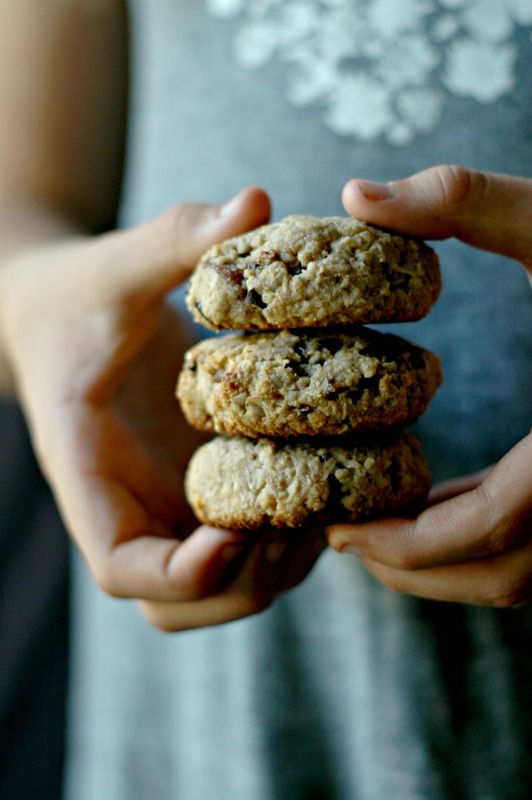 I love breakfast cookies, and you could never make too many versions in my opinion! Also just love that you added cacao nibs to yours, definitely need to try that! This recipe is a family favorite for sure! Today I made them with a 50/50 mixture of blackstrap molasses and maple syrup (for a total of 1/3 cup) in place of the 1/3 cup honey and they taste amazing! I’m glad you enjoyed it Diana! Molasses is a great add! Can you substitute the cassava flour? Would more almond flour work or something else? I cannot get cassava easily. Hi Pam! I’m sure more of another flour would work – you would just have to work with the amount a little – cassava flour is really absorbent, so more almond flour would have to be more in amount. They looks tasty- and fueling, perfect for breakfast!